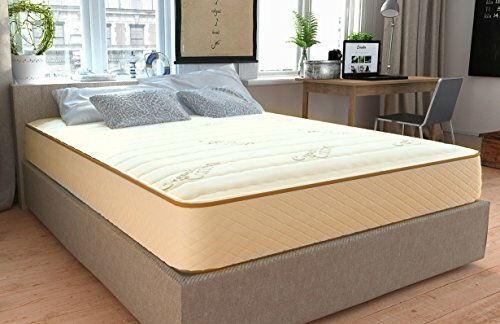 Dunlop vs Talalay Latex: A 2019 Guide - Which One is Better? 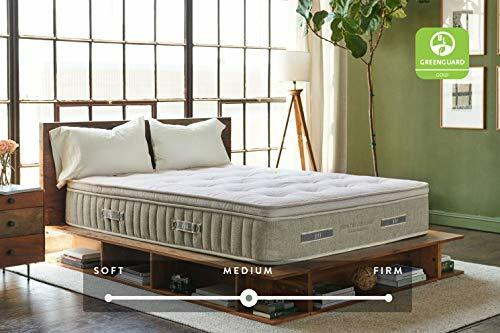 Home » Mattress » Dunlop vs Talalay Latex: A 2019 Guide – What’s the Difference and Which One is Right for Me? 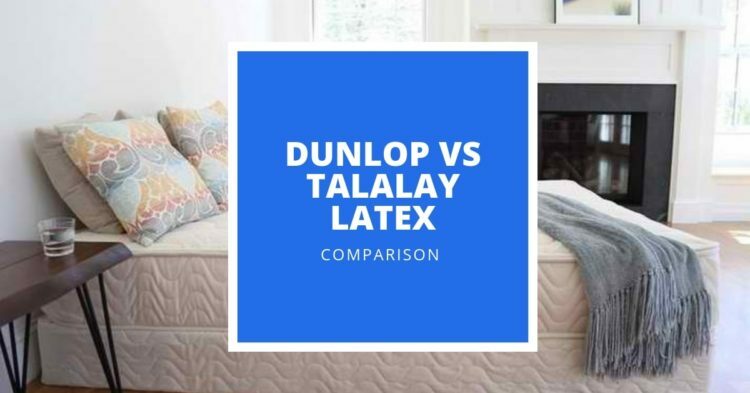 Dunlop vs Talalay Latex: A 2019 Guide – What’s the Difference and Which One is Right for Me? Are you curious about the difference between Talalay and Dunlop latex? Thinking about investing in a mattress made of one of these quality materials but not sure which one is right for you? Then you’ve come to the right place. The Spindle mattress uses three layers of Dunlop latex, which encourages airflow more than memory foam. Memory foam responds to body heat to create its signature sinking feel, so it has a tendency to retain heat more than latex does. The organic cotton cover on the Spindle mattress is breathable (further enhancing the cooling effect of the bed) and free from pesticides, pigments, or bleach. Our favorite Dunlop latex mattress option is the Spindle mattress, which comes with different firmness options to suit many types of sleepers. Our favorite Talalay pick is the Dreamfoam Eurotop mattress, which has a plush, comfortable surface and a very affordable price for a latex bed. Latex is gaining popularity as a mattress material because it sleeps cool and is naturally hypoallergenic. If you’re sensitive to allergens such as dust mites, switching to a latex bed could be a good change for you. Latex mattresses provide a responsive, bouncier feel compared to the hugging sinkage of memory foam mattresses. The material can be made through either natural or synthetic processes, which we’ll cover later in the article. First, we’ll give you our top 3 Dunlop latex mattresses, followed by our favorite Talalay options. This Dunlop latex mattress comes in different firmness levels and the company has a firmness calculator on their website to help you figure out the one for you, based on body type and preference. Natural latex is good at minimizing motion transfer, which is good news for people who sleep with a restless partner. When you order this bed, it comes in four parts: the zippered cotton case and three latex layers. It’s easy to assemble, just arrange the layers beginning with the base and end with the cover. This bed comes with a 365-day trial period, which is unusually long, and a 10-year limited warranty. The Roma Natural Latex mattress is a 9-inch bed with a very affordable price. Since latex is usually very expensive, a budget pick like this that uses natural latex is a great find. This mattress has a flippable design, meaning it comes with both a soft side and a firm side to choose from. The materials used in the bed are mildew-resistant, antibacterial, and hypoallergenic. The organic cotton cover on this bed is free from harsh chemicals and shouldn’t be irritating, even to very sensitive sleepers. Unlike other flippable beds (which can be very heavy), the Roma Natural Latex mattress is easy to flip. It comes with a 10-year warranty and full refund guarantee in case you aren’t satisfied with the bed. The Cedar mattress is a hybrid bed that uses coils, Dunlop latex, and other natural materials, such as flaxseed and coconut husks. The coil layer is zoned and provides additional lumbar support, which may make it a good choice for people suffering from back pain. The second layer of latex in the mattress is also zoned for pressure relief and promotes airflow. Overall, the bed has a medium-firm feel to it, which should accommodate a wide variety of body types and sleep positions. Getting too hot in this bed shouldn’t be an issue since the coil layer promotes airflow and latex itself sleeps cool. The Cedar mattress comes with a 10-year warranty and 1-year trial period. Both Talalay and Dunlop latex are made with natural tree rubber to create the finished product. The Talalay process for making latex is similar to the Dunlop process, except it flash-freezes the mold to stabilize the chemicals. Talalay has more of a pillow-like feel than Dunlop latex. The Zenhaven mattress is a flippable bed that allows you to choose between a medium-firm or soft side. It’s a good option for back pain sufferers not only because of this option in firmness but also because it’s zoned for optimal spinal alignment. The bed uses a natural layer of wool to help regulate temperature and encourage breathability. The organic cotton cover is soft, comfortable, and made with natural processes. The benefit of choosing a flippable mattress is that you have two tries to get the right feel. If one side feels too soft or firm, just try the other. 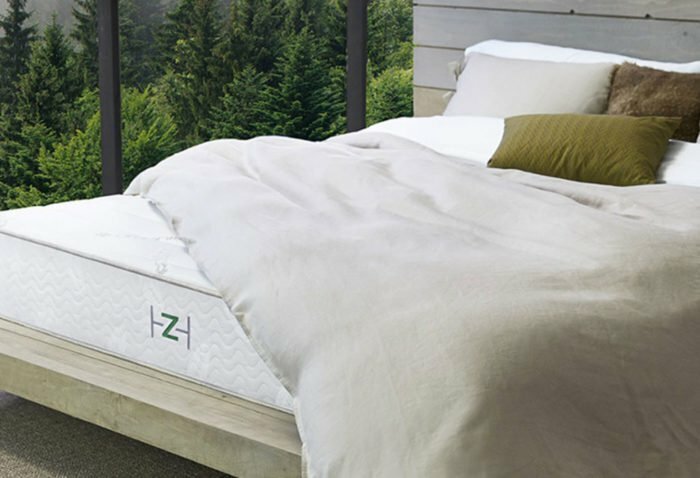 The Zenhaven mattress comes with a 120-night sleep trial and a 20-year warranty. 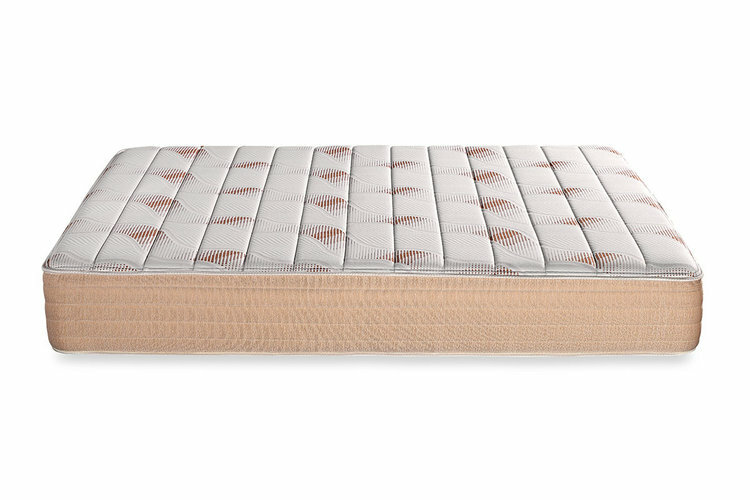 The PangeaBed™ Copper mattress uses copper-infused Talalay latex for what they call a cleaner, cooler sleep experience. Copper is an antibacterial and cooling material, which is why it’s popular in some mattresses. The cover on this mattress is durable and breathable, while the latex layers beneath reduce pressure points and promote airflow. The base of the bed provides contouring support for your body and can potentially relieve tension. The PangeaBed™ is very affordable for a latex mattress and comes with a 10-year warranty and a 100-night sleep trial. The Dreamfoam Eurotop Latex mattress has a plush top layer that provides some cushioning comfort while you sleep. If you already know how firm you want your bed to be, you can select it on the Dreamfoam website. Customers can also choose to fill out a questionnaire before they buy and the company will create a customized firmness level to suit them. The cover is made from bamboo, a comfortable and biodegradable material. Both the cover and latex layers are hypoallergenic and good for sensitive sleepers. The mattress has a dense feel and may retain heat more than other latex beds, although the sleep experience is still cool compared to the average mattress. The Dreamfoam Eurotop Latex mattress comes with a 10-year warranty and a 120-night sleep trial. Latex is a thick, bouncy material that can be obtained through natural sources such as poppies or the rubber tree. The sap is harvested and then whipped into a froth, poured into a mold, and heated up to create latex. Once latex is exposed to the air, it turns rubbery. It’s a popular mattress material because it lasts longer than foam and has a responsive, comfortable feel. China, India, Indonesia, and Thailand are among the top producers of latex rubber around the world. The only way to know for sure what’s in the specific mattress model you’re interested in is to look at the specifics of that particular bed. This may not be completely clear on every latex mattress, so contacting the manufacturer directly is one way you can access this information and make an informed purchase. Comfort – Rubber is an elastic, flexible material, so latex mattresses naturally have a flexible feel. The material isn’t too soft or too hard, providing a resilient mattress surface that promotes spinal alignment. Latex contours to your body to keep your back in a neutral, comfortable position and many users report that it helps with body pain because of this. Sustainability – Natural latex comes from rubber tree sap and the trees aren’t harmed during the process. Since it’s a naturally-occurring material and comes from renewable resources, it’s sustainable for the environment. Naturally-sourced latex is also biodegradable and doesn’t have any toxic chemicals or potentially harmful solvents. Synthetic latex, on the other hand, might. Make sure you always check product specifications if this is a concern for you. Support – The naturally elastic feel of latex provides amazing support to the natural curves of your body. Latex beds provide great pressure relief, helping you fall asleep easily. If you struggle with back pain or feel tense after a long day, this supportive material could help. Latex doesn’t transfer motion much, which makes it a suitable option for couples or people with pets. Hypoallergenic – Another stand-out feature of latex is that it’s naturally antibacterial and hypoallergenic. If you’ve had dust mite allergies in the past or are just a sensitive sleeper, switching to latex might help your symptoms. The high temperatures used in the manufacturing process of latex eliminate allergens, making it a safe choice for most people. Breathability – If you struggle with sleeping hot, switching to a latex bed could help. Latex has a naturally open cell structure, which allows air to move freely through it. Even on very hot nights, sleeping on a latex mattress should be comfortable and promote a neutral sleep temperature. Dunlop and Talalay differ in the way they’re manufactured. While the Dunlop process has been around since 1929, the Talalay process is newer, more expensive, and a bit more complicated. For this reason, Talalay beds tend to cost more than Dunlop mattresses. The Dunlop process turns liquid latex into foam, then pours it into a mold where it’s sealed and vulcanized (hardened). The foam is then washed to get rid of excess materials, then dried. The Talalay process is basically the same except that it uses a vacuum and has an additional step which freezes the material. This extra step creates breathable airways in the material. Dunlop and Talalay latex feel so similar that the average person can’t tell the difference. Dunlop latex has a denser structure than Talalay latex, which is lighter. That doesn’t mean that Dunlop mattresses will be firmer, though, since Dunlop and Talalay latex blends can be created in different degrees of firmness. Firmness: The firmness level you choose in your bed is important when it comes to the support it will provide. Generally speaking, medium-firm mattresses are a good pick for people who aren’t sure what they prefer. A medium-firm bed is designed to suit the average sleeper and will work comfortably in all sleep positions and with most body types. 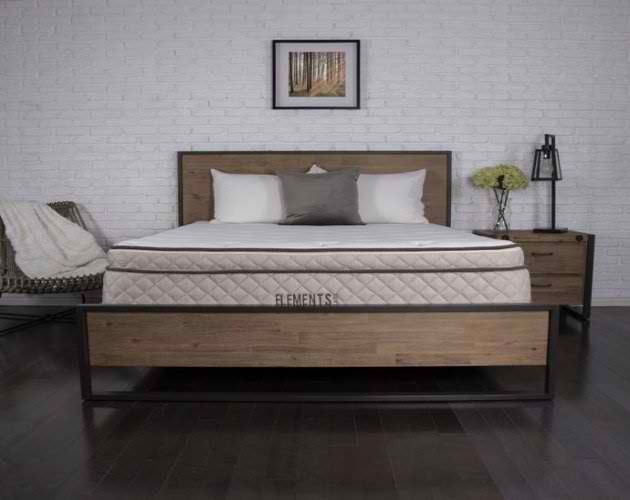 Blend: Some people get confused by whether they should choose an all-natural latex mattress or a blend of synthetic and natural latex. While natural latex is preferable for both quality and sustainability, synthetic latex provides a similar feel for a lower price. Scientists created synthetic latex when natural latex was scarce during the Second World War. Synthetic latex is made from petroleum products with various chemicals acting as catalysts to form the substance. The exact makeup of synthetic latex will vary depending on the manufacturer of the mattress. Warranty and sleep trial: Before you buy a mattress, you should always check the warranty information. Since latex tends to cost more than other mattress materials, you’ll want a warranty that lasts at least 10 years. The sleep trial period enables you to test out a bed before deciding whether to keep it or not. The longer a sleep trial is, the better. Breathability: If you’re a hot sleeper, switching to a latex mattress could be the solution you’ve been looking for. Most latex beds will already naturally sleep cool, making them a popular choice with hot sleepers. Look for breathable fabric and other cooling technology in your latex bed, if sleeping hot is a big issue for you. Latex is breathable, sustainable (when it’s naturally sourced), and promotes pressure relief. Some potential downsides to latex are that it’s expensive and known to be heavy and hard to move. Our favorite Dunlop pick is the Spindle mattress due to its custom firmness options. Our favorite Talalay latex mattress is the Dreamfoam Eurotop bed because it’s super affordable and has a plush, cushioned surface.